In 2007 I published a piece of writing on my website (yes, pre-blog) in which I identified and described the phenomenon of the headless fatty. I was the first person to do this. This concept hit a nerve and took off, much to my pleasure, it felt as though I had given people a way of describing one of the ways in which media makes fat people abject, and also a way of critiquing and laughing at that stereotype, thus reducing its power to hurt. References to headless fatties turned up all over the place. It was rare that I was ever credited for this invention. 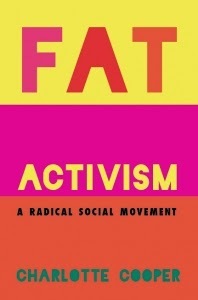 For the most part I wouldn't expect to be, headless fatty has become part of fat activism's language and theoretical framework, it's just a thing that some people know about now. Ideas come from somewhere, but it would be exhausting to have to cite and reference every single thing that we know and believe in everyday conversation, for example. In addition, I do not want to turn headless fatty into a commodity in order to force recognition for myself. I am against the copyrighting of the terms of fat activism, The Association for Size Diversity and Health claimed 'Health At Every Size' as a Registered Trademark last year. To me this is both a neoliberal act that regards activism as a market, and a colonial act where ownership of a formerly free-floating concept now lies within the US. ASDAH took this step to prevent weight loss corporations from appropriating the term, but asserted themselves undemocratically as the rightful owners, and themselves transformed the concept into a commodity by claiming it. Because I can prove I invented the term 'headless fatty' I am not concerned with anyone buying or selling it, nobody can take this intellectual property from me. Or so I thought! This week I was very interested to read a news story in which Dr Rebecca Puhl talks about certain kinds of media images of fat people. Shaming the obese - with photos like these - isn’t working appeared in The Globe and Mail, a national Canadian newspaper, and was syndicated widely, including by many fat activists who really should know better. In the article, Puhl says that she describes images where fat people's heads are cut out of the frame as "the headless stomach." The article goes on to say that such images shame "the obese" and finishes with the claim: "We need to fight obesity, not obese individuals." Yeah, yeah, I know. Puhl is Director of Research and Weight Stigma Initiatives at the Rudd Center for Food Policy and Obesity at Yale University. She is also a Research Scientist. This means that, in a formal presentation such as, for example, an interview with a national newspaper, she would know that ideas come from somewhere and she would also have the skills to search for and cite or reference those ideas. A simple Google search would reveal that I originated 'headless fatty', for example. Perhaps, like many people in the US, she thought that because I live in a different country I either wouldn't know that she had done this, or that it somehow didn't count. Whether or not Puhl searched for its origins is moot. Instead, what she did, in conjunction with the newspaper's reporter and editors, was take my concept and imply it was she who thought of it without any fact-checking. As well as demonstrating arrogance, this is plagiarism and, as Puhl will know, within academia it is a very serious offence. By substituting the neutral-sounding 'scientific' term 'stomach', she made the concept more palatable for an assumed audience of people, perhaps including herself, who get the vapours when the words 'fat' or 'fatty' are used. You could argue that language is not important here, what matters is the article's message of non-shaming. But the reclamation of the words 'fat,' and more recently 'fatty,' are a fundament of fat liberation. It is really important that they are able to be uttered without shame. Ironically, in seeking to reduce shame against fat people, this article adds to it, and don't get me started on the assertion that obesity needs fighting. It feels risky speaking truth to power in this way, bang goes any remote possibility of a nice, cosy, well-paid postdoctoral research fellowship in New Haven! But I feel angry about Puhl's plagiarism of my idea, and it is not up to her who, judging by online photographs, is not a fat woman, to decide what language is and is not appropriate to describe fat experience. I am for a pluralistic, multifaceted movement that supports the rights and autonomy of all people everywhere, including fat people. There is room in the movement for all kinds of fat activisms. Yet I've had enough of The Rudd Center's 'kindly' version of fat politics, which actively undermines the acceptability of fat activism. In their world those of us at grassroots level are too abrasive and hotheaded to be allowed access to high level descision-making, we must be protected from it in some way, though not removed so far away that they can't appropriate a juicy concept whenever they choose. This is an issue of power and its misuse. Instead they should be doing their own work, defining their own concepts, not riding on the back of fat activists like me, who are very far removed from Yale's privileged corridors. Picard, A. (2011) 'Shaming the obese - with photos like these - isn’t working ' [Online]. Toronto: Globe and Mail. Available: http://www.theglobeandmail.com/life/health/andre-picard/shaming-the-obese---with-photos-like-these---isnt-working/article1883947/ [Accessed 8 February 2011]. When in 2007 was the article published as a quick google brings up a few "headless fatty" links from 2007. I'm glad you are speaking out against the Rudd Center. When I first found their blog, I thought it might be a helpful resource, then I discovered what it was really all about. In the past I have left a few comments on blog posts I found particularly disturbing, but now I don't bother reading it anymore, not even for a good laugh. BTW, I used to work at Harvard. Trust me that you don't want a post-doc at an Ivy League uni. First of all, you'll be surrounded by Rudd-type people *everywhere* and also, these places are just so stuffy and support the status quo. 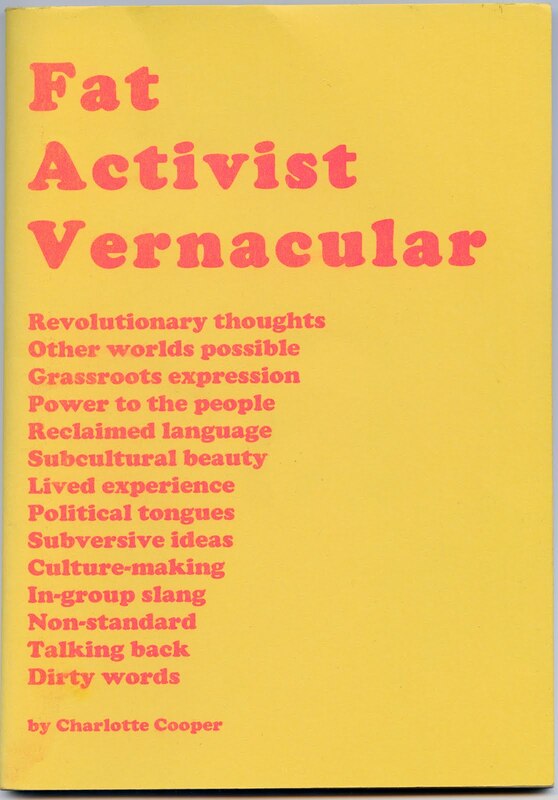 There's no room for radical politics there, despite how these places like to present themselves. You'd do much better elsewhere! how does one go about 'pulling someone up on plagiarism?' *insert raised eyebrows here. I also feel like the Rudd Centre's image gallery is rather limited, personally I find Stocky Bodies a lot lot better. I know about the 'headless fatty' from your blog and agree that it is very easy to do a search and see who has coined it out and you even provide info how to cite it. I wonder if a Wikipedia article on the 'headless' fatty is a good idea. Great idea. Want to write it?